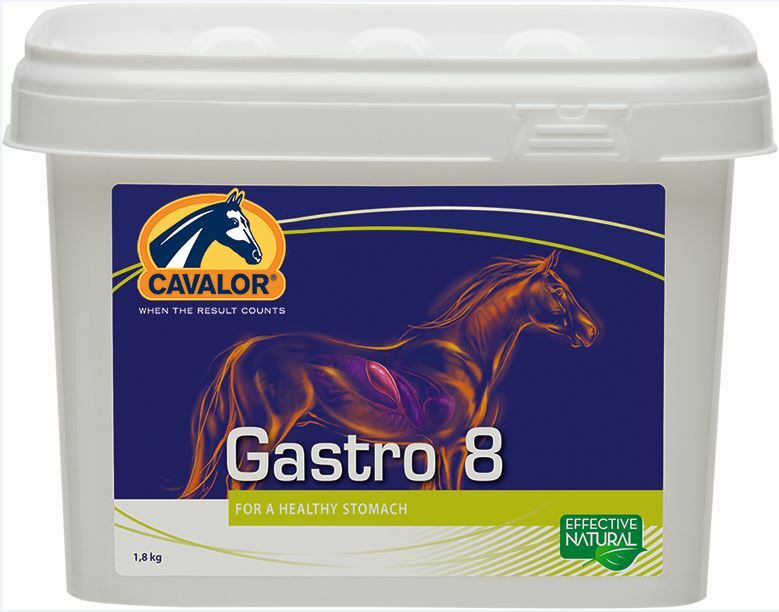 Cavalor Gastro 8 is a premium quality supplement formulated to help protect the stomach wall against irritation and works on several levels in order to keep the stomach pH neutral. It is a great nutritional tool for gastric ulcer management and prevention. It provides the nutritional support to potentially decrease acid production & stimulate regeneration. Cavalor Gastro 8 contains Mastica, an ingredient that helps protect your horse’s stomach wall without harming the “good” bacteria in their digestive tract. Available as a paste or a powder.